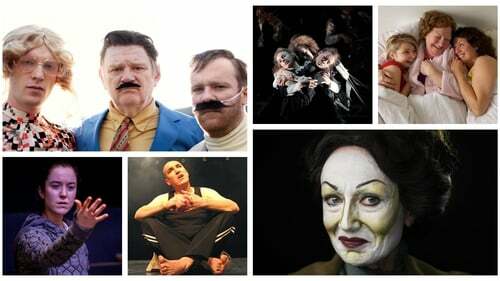 Ireland has a rich tradition of globally-celebrated theatre that stretches back centuries – but our contemporary playwrights and theatremakers are making their mark on the stage in all senses of the word, too. 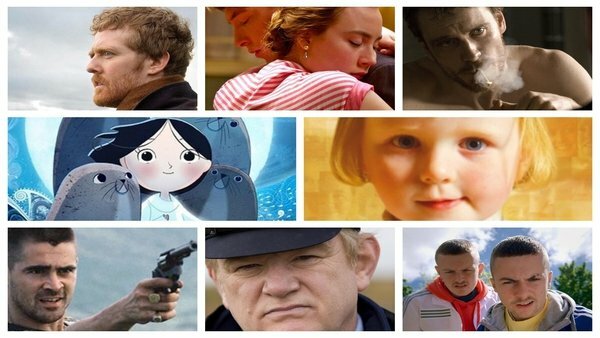 Following on from our series of books, films and albums that have defined 21st century Ireland, below you'll find our list of of plays that have shaped and characterised the past 18 years of Irish theatre. Conor McPherson's 2006 play was set in the Dublin suburb of Baldoyle on Christmas Eve, focusing on the volatile relationship between two alcoholic brothers – Sharky and Richard – and weaving in themes of Faustian legend as they engage in a poker game with a twist. This three-person play, one of Mark O'Rowe's finest, follows a schoolteacher, her estranged daughter and a serial killer across the course of one night in Dublin. It made its debut at the Abbey Theatre in 2007 before going on to achieve huge international success. David Ireland's brilliant 2016 play was celebrated for unravelling the intricacies of Ulster Unionism in a darkly comic fashion, with the spotlight on Belfast loyalist Eric Miller – who believes that his 5-week-old granddaughter is the reincarnation of Gerry Adams, amongst other delusions. Set in Dublin in 1904, Michael West's celebration of "fading stars, rebels, whores and romantics" was a huge hit when it debuted exactly one hundred years later. A riotous celebration of the capital and its characters, as it edged towards the founding of our National Theatre. Michael Keegan-Dolan's 2016 adaptation of the Tchaikovsky ballet proved revelatory, resetting the story in the midlands and giving it a distinctly Irish twist. It won Best Production at the Irish Times Theatre Awards the same year. For anyone who saw the production, the transcendent finale will remain with them forever. The film adaptation has proved an enormous success, but Emmet Kirwan's 2015 play is equally (in fact, arguably moreso) affecting. It documented the fractious relationship between Kirwan's Jason and his addict brother Daniel, set against the backdrop of a hedonistic weekend in the capital. A play that was heartwarming and hilarious in equal measure, Elaine Murphy's tale of three generations of women from the same Dublin family has proven a hit since it was first performed at Dublin Fringe in 2008. Amidst the comedy, there is tragedy and ultimately hope (in the form of the titular Little Gem) as the women share their stories. Adapted from a variety of sources – including Seneca and Sophocles' 'Oedipus' plays, and the work of Sigmund Freud – Gavin Quinn and Simon Doyle brought something quite unique to the stage in 2006. With black humour and a punk soundtrack set in suburban Dublin, it certainly made a lasting impression, and featured a memorable turn from future Oscar nominee Ruth Negga. Owen McCafferty's 2016 play proved quietly devastating as the story of two Belfast men and their interminably entwined pasts unfold as they meet in a local pub to discuss something that happened there when they were teenagers. It was praised for capturing the desolating effect of the Troubles in a way that few other productions have over the years. Playwright Marina Carr has enjoyed massive success with various seminal works over the years, but On Raftery's Hill was celebrated for weaving the mundane – a story set in a country kitchen in midlands farming community – with themes that resonate strongly with Irish audiences: family, land, obligations. It remains as potent as ever, and an acclaimed Abbey revival last confirmed its modern classic status. Written and performed by the incomparable Pat Kinevane, this unique blend of Irish storytelling interwoven with Kabuki dance has been entrancing audiences since 2006. Telling the stories of four elderly people in Irish retirement homes, its use of language and movement is spellbinding. Once seen, never forgotten. First staged at the Dublin Theatre Festival in 2011 – and at a former Magdalene Laundry in Dublin, no less – Louise Lowe's immersive theatre experience offered a harrowing yet powerful glimpse into the lives of the women confined to the workhouse, telling their stories via actors, audio and visual installations. It's been staged in cities around the world and has wowed pretty much all of them; even the New York Times commended Fishamble's 2014 production of Swing for its heart-on-sleeve emotion. One of the dozens of shows created as part of Fishamble's popular Show In A Bag initiative, the dance-led comedy is both fun, funny and uplifting. Grace Dyas's often shocking, often challenging but always engaging play about the drug that has scourged Ireland over the last few decades proved a seriously powerful addition to the Irish theatre world upon its debut in 2010. Like most of the Dublin playwright's work with her THEATREclub collective, it was brutally uncompromising when dealing with a contentious topic. Without doubt one of the biggest hits in Irish theatre in recent years, THISISPOPBABY's remarkable production encompassed spoken word, dance, theatre, comedy and circus – travelling as far afield as New York and Sydney and wowing audiences there, too. It's a show that continues to evolve. More than just a trip down memory lane for ravers of old, Raymond Scannell's one-man-show explores Cork's famous Sir Henry's nightclub and all that it stood for, and is seriously compelling - from the banging soundtrack to Scannell's telling of the rise and fall of the city's underground scene. It's no exaggeration to claim that Enda Walsh's plays have become embedded in the modern Irish psyche; his post-2000 output has been as prolific and as multifarious ever, not least this offbeat 2006 tragicomedy. Set around three Irish exiles in a depressing London flat, Landmark's 2015 revival – which starred all three of the Gleesons – was particularly outstanding. It's a story that resonates with a generation of Irish emigrants, but Jimmy Murphy's 2000 tale of a group of young Irishmen who head to London to work in the 1970s - but never quite make it home – is unbearably poignant and superbly told. It was adapted for film (under the title Kings) in 2007. Originally a Dublin Fringe production, Bush Moukarzel and Mark O'Halloran's 2013 play is based on the true story of a woman and her three nieces who died by starvation in a suicide pact in Leixlip in 2000. As you might imagine, it's far from cheery stuff – but told in an innovative, powerful and respectful manner, it's certainly one that stays with you long after the curtain has fallen. Belfast writer Stacey Gregg's blistering and timely play about gender identity and gender politics has won multiple awards since debuting in 2015. Inspired by a real-life court case, the story of gender-curious teenager Kes lurches towards an utterly devastating climax. Set in 1950s rural Ireland and following the deeds and misdeeds of a group of young men who return to their homestead for the summer holidays, the late, great Tom Murphy's last major play proved an apposite bridge between 20th and 21st century Ireland when first produced in 2000, and revived in 2012; a story that is familiar to an older generation, yet also resonated with contemporary audiences.